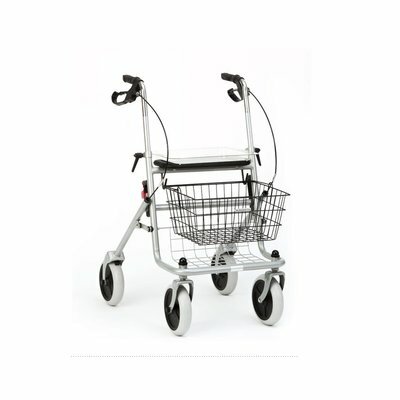 The rollator supports mobility impaired persons when walking both in the domestic sphere; especially while walking, shopping and traveling. It is equipped with a luggage rack, a removable basket and a storage tray. For short breaks the walker has a seat at a height of 60 cm. 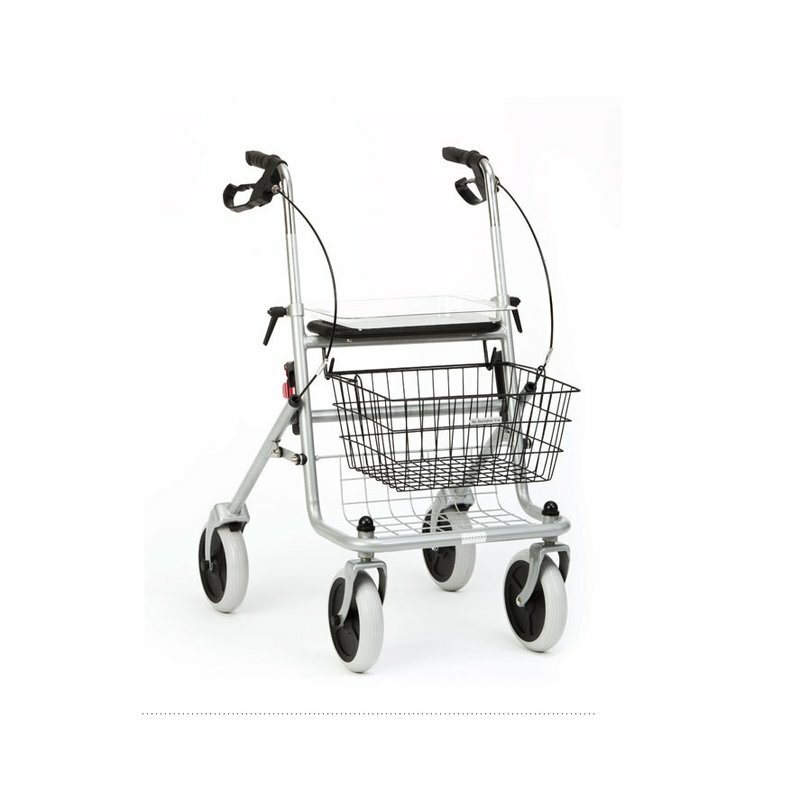 The walker can be folded into itself and thus easy to handle and transport and space-saving to stow. Furthermore, it is equipped with swivel front wheels, height-adjustable handles of about 79.5 to 98 cm as well as arrestable brake. An automatic Faltsicherung prevents accidental folding up the rollator during use. The wheels are equipped with a ball bearing. Weight without accessories: approx 9.18 kg. Weight with basket and tray: 10.04 kg. Size selection: 40 x 30 x 17.5 cm. Dimensions seat board: about 16 x 38.5 cm. Handles adjustable in height from 79.5 to 98 cm. Cleaning: dry thoroughly with a damp cloth and mild detergent solution, with a dry cloth.